Greetings everyone! I got something for you. Science Fiction in the state of controlled aggression and empathic heroes. Villains who were born egomaniacs and needed more to feed on–to control. The system of leaders who are at odds with one another while war begins and continues under such misdirection and weak leadership. 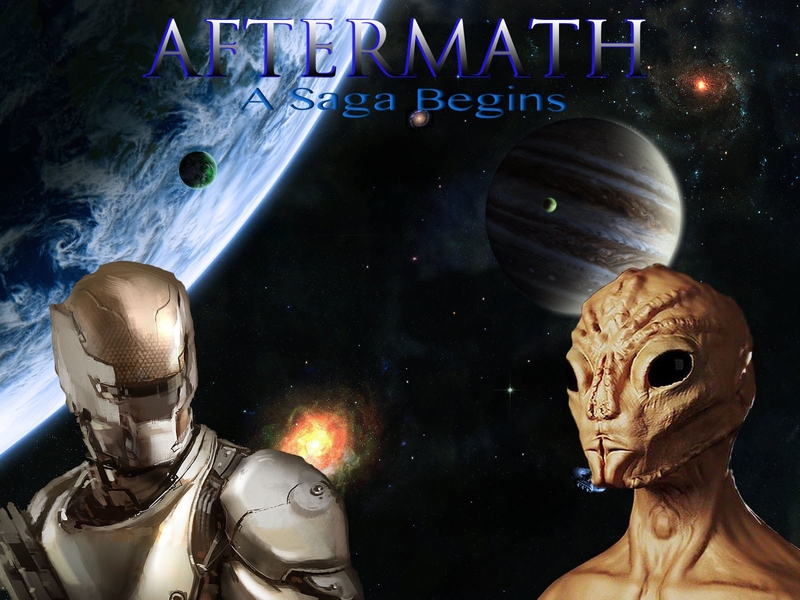 You have “Aftermath: A Saga Begins” by F. Kenneth Taylor. Yes the one who co-wrote “Shadow Within the City” with myself and also authored “Corner Pocket” and “Serpents & Honor.” A person who wrote over a hundred articles online for magazines, contracts, and yahoo.com on occasions. A smart, great writer who I have the honor of calling a friend. So with that being said visit his facebook page and if you want to buy the book right away then visit this PAGE as well.